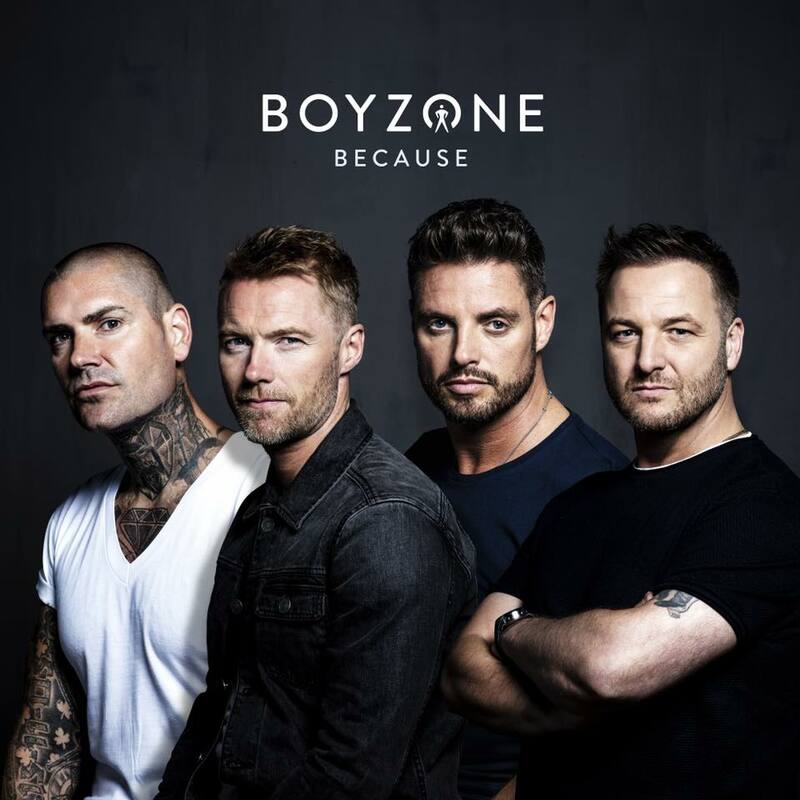 Soon to dissolve Irish manband Boyzone has dropped their new single ‘Because’, along with its official music video. The song itself is featured on the boys’ upcoming farewell album ‘Thank You & Goodnight’, which is due to land at retailers everywhere in mid November. But unlike most of the tracks on the new album, ‘Because’ is an original. And a big name features among the writing credits. The song is penned by Amy Wadge, band member Ronan Keating, producer John Shanks and a global hitmaker named Ed Sheeran. Naturally, whatever Ed usually touches turns to gold, so there’s plenty of hope for this track. He even pops up fleetingly in the clip (below). To be honest, it kinda feels like they’re phoning it in with this. It’s essentially a Ronan Keating single with backing singers. Video-wise, the boys are at a karaoke bar performing the song, while the scenes are intercut with selfie footage of fans from around the world also performing the track. And is it just us or have they used an older image of the band on the cover?